Our records contain 106 asbestos lawsuit exposure sites in West Virginia, though there are certainly more that have not been reported. For decades, West Virginia buildings and products have used asbestos. Because of this, many West Virginia residents have been exposed to asbestos and are at risk for contracting mesothelioma cancer. Below is a list of 106 known sites of asbestos exposure in West Virginia. Asbestos exposure is known to have occurred in at least 46 West Virginia cities, though the number is likely even higher. 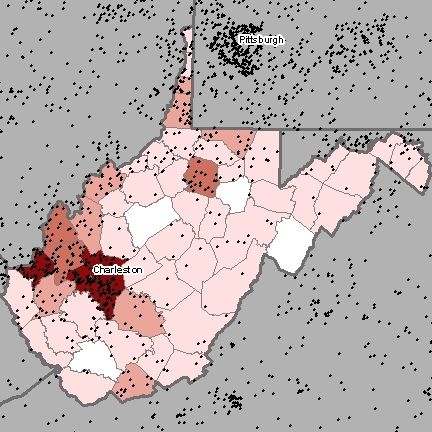 The West Virginia city with the most asbestos exposure sites was Huntington, WV, with 10 known sites contaminated by asbestos.